Effective January 31, 2016, all registered nurses will be required to complete continuing education/competency requirements as a condition of licensure renewal. Georgia law provides five options from which licensees may choose in order to satisfy the continuing competency requirements. Georgia Board of Nursing Acceptable Providers for Continuing Education for Registered Nurses or Licensed Practical Nurses Acceptable continuing education may be taken in a conventional classroom setting, through online courses, professional journals, correspondence or independent study. Rule 150-3-.09 Continuing Education for Dentists (d) Effective January 1, 2008, at least twenty (20) of the required forty (40) hours of credit must be acquired in person at an on-site course or seminar; you are not allowed to acquire all CE hours through on-line courses, electronic means, journal studies, etc. Rule 480-3-.03. Continuing Pharmacy Education (9) Approval of providers and sponsors shall be as follows: (b) American Council on Pharmaceutical Education (A.C.P.E.) approved providers shall submit documentation to the Board of such approval every two (2) years and have blanket approval. Sec. 13-314. - Body crafter requirements and permit. 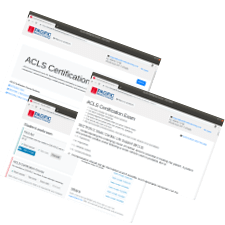 Current certification in emergency first aid, CPR, and blood-borne pathogen or infection control training, from agencies licensed by the state or applicable federal authority. Total number of locations: 53. These locations CAN provide American Heart Association-branded provider cards if needed.